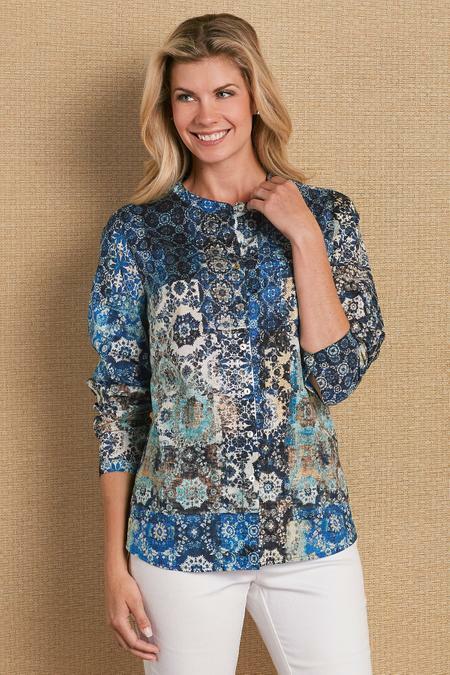 The just-right shirt for summer-into-fall features a stunning patchwork tile print in shades of denim-friendly indigo. Wanted details include a mother-of-pearl button closure in front and a faux button placket in back, plus long roll-tab sleeves and a dropped-tail hem. Cotton. 27-1/2"/32" long.